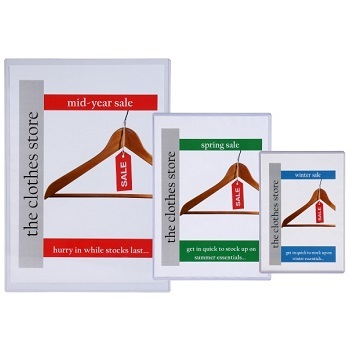 Economical A4 sheet protectors for everyday use. Made to suit all 2, 3 and 4 ring binders, and lever arch files. Made from 100% environmentally friendly Polypropylene material, durable for long life. 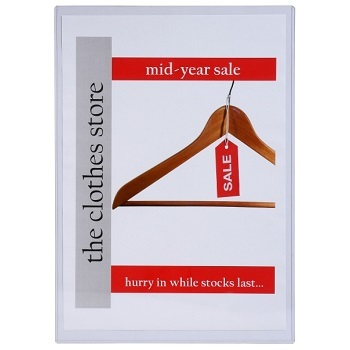 A4 size - Top opening - Super clear, anti-reflection pockets. 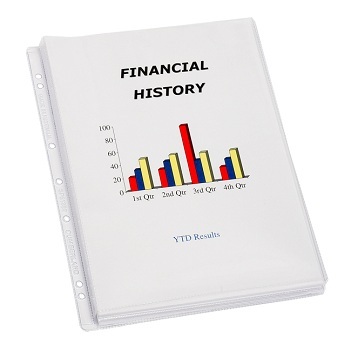 Marbig Economy Sheet Protectors are affordable choice for single use filing applications. Copysafe pockets allow photocopies to be kept for years without chemical reaction with the pocket. Reinforced binding edge. Resists tearing or cracking. Available in A4, Foolscap (standard weight) and A5 (heavy weight) sizes. 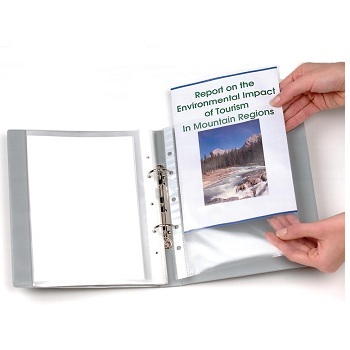 Crystal clear, highest quality Deluxe Sheet Protectors for a superior, professional appearance. Available in Sizes A4 and A3 - Portrait and Landscape. 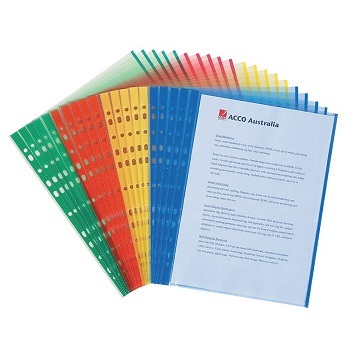 Sheet protectors with coloured edges for colour coding work and indexing - makes finding documents fast and easy. Transparent so contents can be easily seen. Copysafe pockets allow photocopies to be kept for years without chemical reaction with the pocket so the print does not lift. Reinforced binding edge. Fits all 2, 3 and 4 ring binders. A4 size - Assorted pack includes 5 of each blue, red, yellow and green. 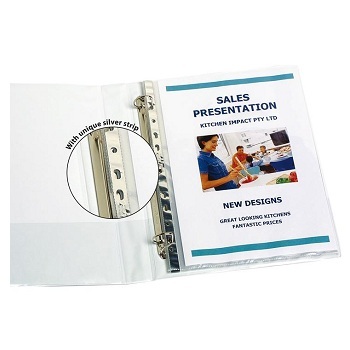 Silver Edge pockets have a metallic binding edge that adds a professional finish that makes them perfect for presentations. Heavy Weight for durability and frequently accessed files. Copysafe pockets allow photocopies to be kept for years without chemical reaction with the pocket so the print does not lift. Reinforced binding edge. Fits all 2, 3 and 4 ring binders. A4 size - Box of 100 x glass clear sheet protectors. 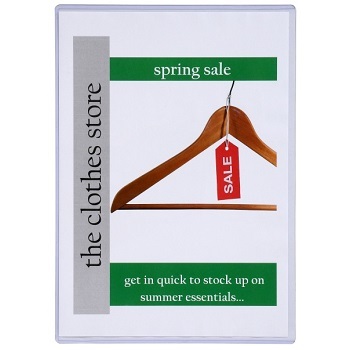 Premium clear see-through protection, ideal for price lists, photographs, certificates and documents. Copy-safe pockets will not lift the ink off copies, photographs or documents. Heavy duty polypropylene resists cracking and tearing. Reinforced binding holes. Fits all 2, 3 and 4 ring binders and Lever Arch files. A4 size - Top loading. 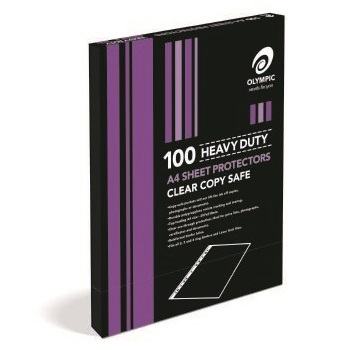 Box of 100 heavy duty sheet protectors. 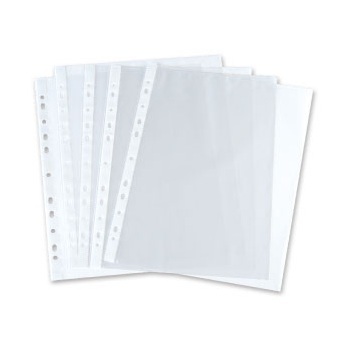 Gusseted sheet protectors to store big documents, manuals, plans, magazines or catalogues. Extra heavy-duty 200 micron glass clear PVC pocket with 25mm capacity for heavy duty use. The version with the flap is secured by Velcro. 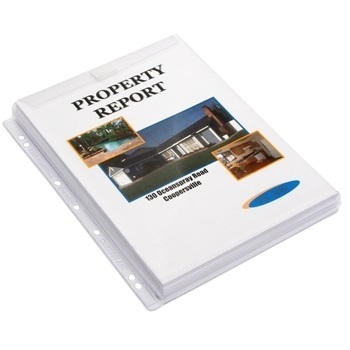 A4 size - Pack of 10 sheet protectors. 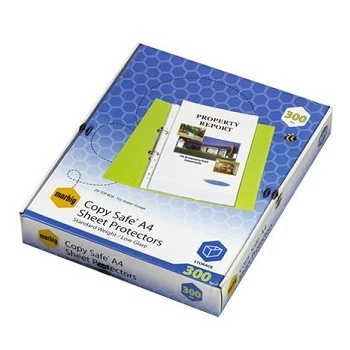 Large A3 gusseted sheet protectors with flap to store big documents, manuals, plans, magazines or catalogues. Heavy-duty 175 micron glass clear PVC pocket with 25mm capacity for heavy duty use. The flap complete with Velcro fastener secures your contents. 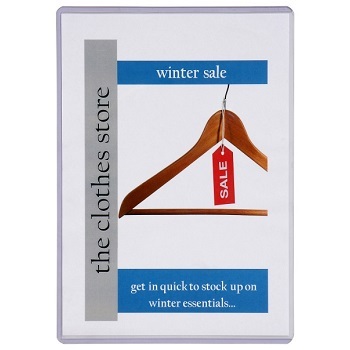 A3 size - Pack of 10 sheet protectors. Marbig Heavy duty pocket holds 50 sheets of paper. Made of thick, semi-rigid, heavy-duty polypropylene that will not wear out or tear. 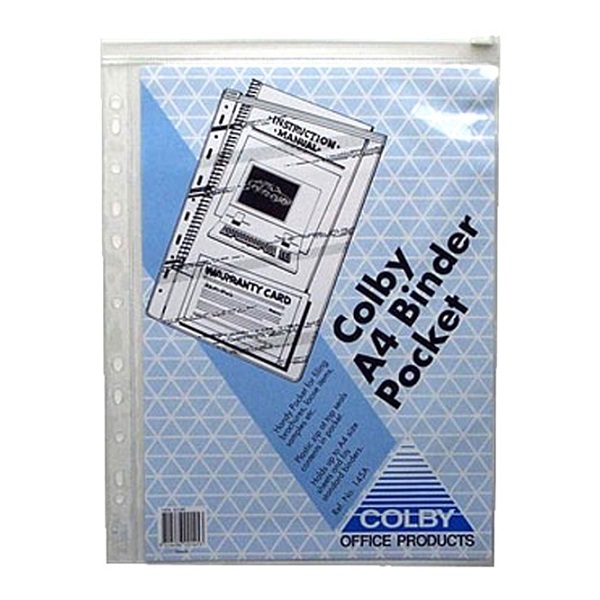 A4 size - Multi-punched - Fits all 2,3 and 4 ring binders. 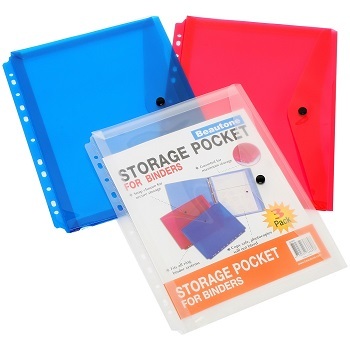 Pack of 10 pockets - Clear to enable you to view your documents easily. 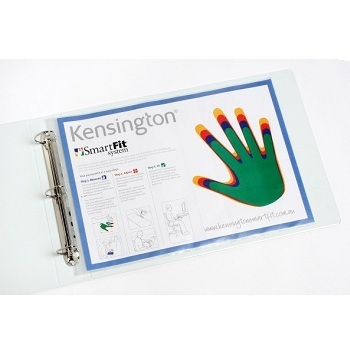 Excellent protection for certificates, menus, display and promotional material. Made from crystal clear, high quality, heavy weight (380 - 400 microns) PVC. Available in A5, A4 and A3 size. Need a Document Wallet to store in your Binder? Snap button closure for secure storage. Durable archival, copy safe polypropylene, photocopies will not bleed. Universal Hole Punched To Suit 2, 3 And 4-Ring Binders. 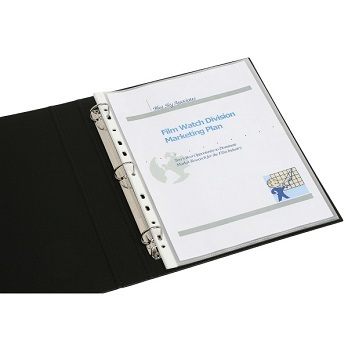 Popular clear PVC zippered wallet designed to fit into A4 ring binders. Clear PVC pocket with top opening nylon zip. Side punched to suit all standard 2,3 and 4 ring binders. A4 size - individual pocket with clear front and back. 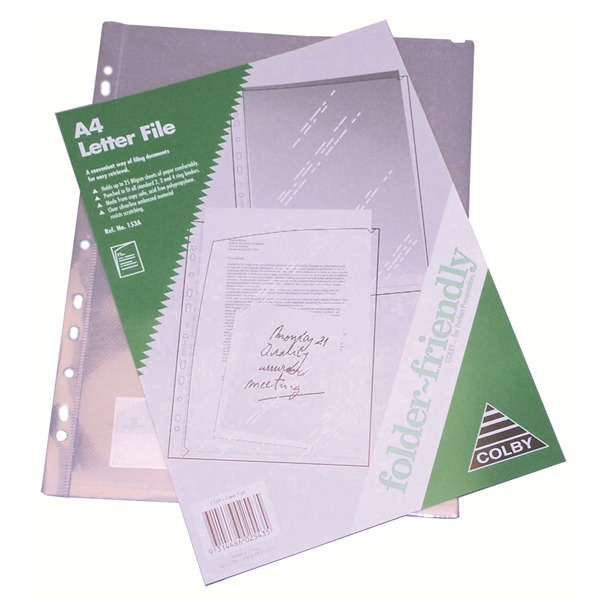 Premium quality 'folder friendly' clear, strong A4 letter files with side punching. Transparent, slightly embossed file sealed on bottom and right hand side; open top and left hand side. 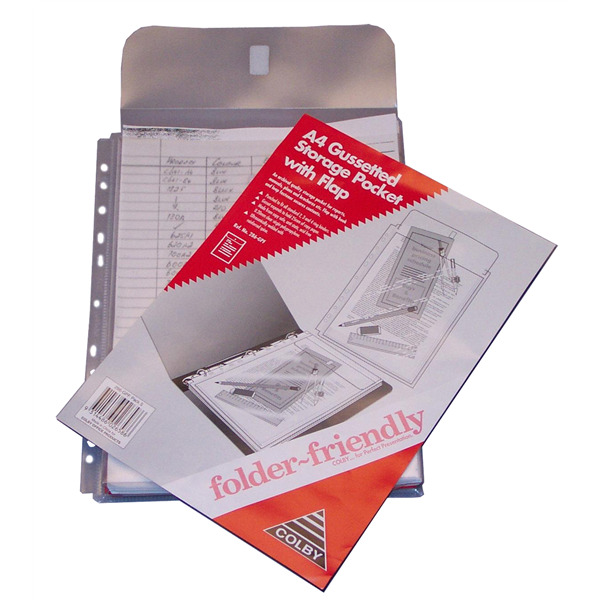 Pack of 10 Folder Friendly Letter Files. 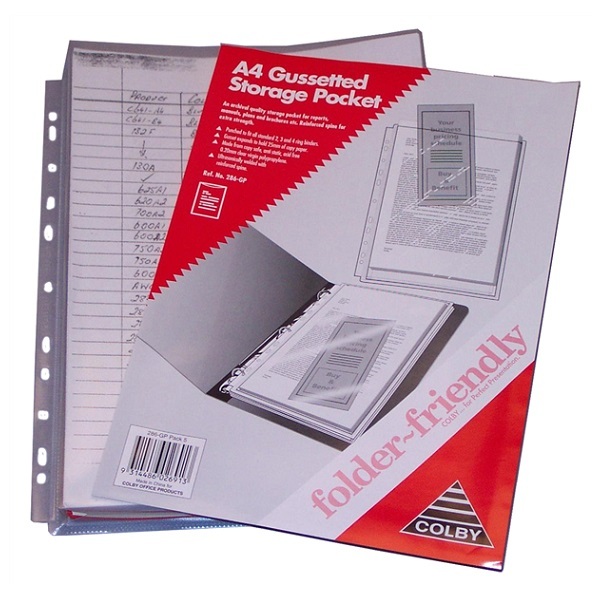 Premium quality 'folder friendly' clear A4 copy safe heavy duty gussetted storage pockets. Top loading clear pocket with reinforced spine and 25 mm gusset for extra capacity. Multi-punched to suit all standard 2,3 and 4 ring binders. Pack of 5 heavy duty gussetted storage pockets. 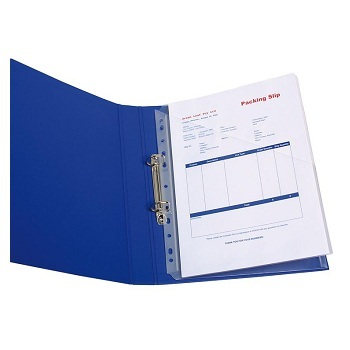 Premium quality 'folder friendly' clear A4 copy safe heavy duty gussetted storage pocket with flap for securing documents..
Top loading clear pocket with reinforced spine and 25 mm gusset with flap with hook and loop closure. Pack of 5 heavy duty gussetted storage pockets with flaps.